Tapdo, not to be confused with smart home company Tado, is taking the fingerprint reading tech from your smartphone and putting inside a wearable to help you control your tech. 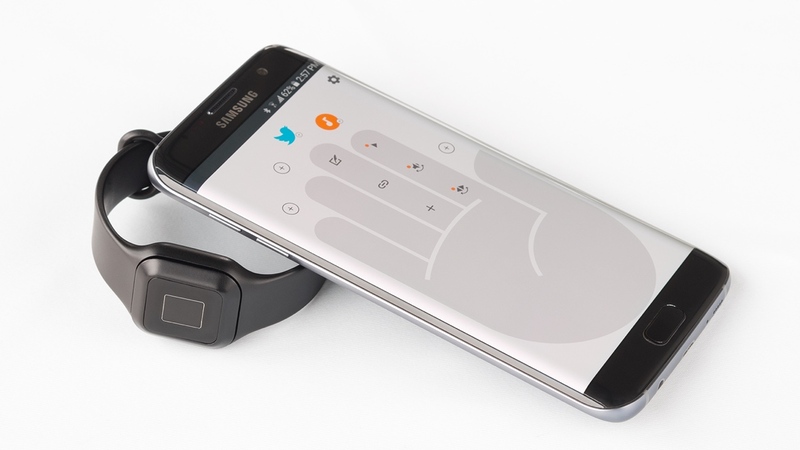 The iOS and Android-friendly device can be worn around the wrist or as a clipped-on button and houses a fingerprint sensor that can recognise different parts of the hand. From the companion app, you can then assign functions to different parts of the finger letting you do things like control heating systems, music playback and turn on your smart lighting setup from a simple tap. Haptic feedback sends out a little vibration to signal that assigned apps and services have been successfully unlocked and there's set to be 28 functions in total that you'll be able to make use of. It apparently complies with one-touch law for driving as well, which means you can concentrate on the road while taking control of your connected kit. The Tapdo is hitting Kickstarter in March with a $99 pledge securing you a device. If all goes well with the campaign, it'll ship with the battery and rubber wristband in September 2017. Smart home buttons are not new with the likes of Logitech and its Pop button or Misfit's Link tracker already available to liberate you from your smartphone. It might be a bit of a challenge remembering what each finger is assigned to, but we're all for seeing fingerprint reading tech being used for something other than unlocking your phone or paying for groceries.